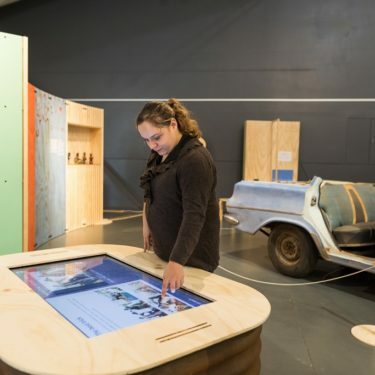 Bush Mechanics is currently on display at the Cobb & Co Museum, Toowoomba, Queensland. Cost: Included with Museum entry. For more information visit the Cobb&Co website here. 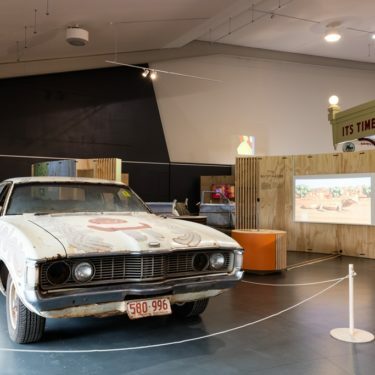 Based on the popular ABC television series co-created by David Batty and Francis Jupurrurla Kelly, and told through the show’s distinctive brand of humour, this exhibition showcases the ingenuity of outback mechanics whose clever resourcefulness can turn branches, spinifex and sand into tools and spare parts to get cars back on the road. 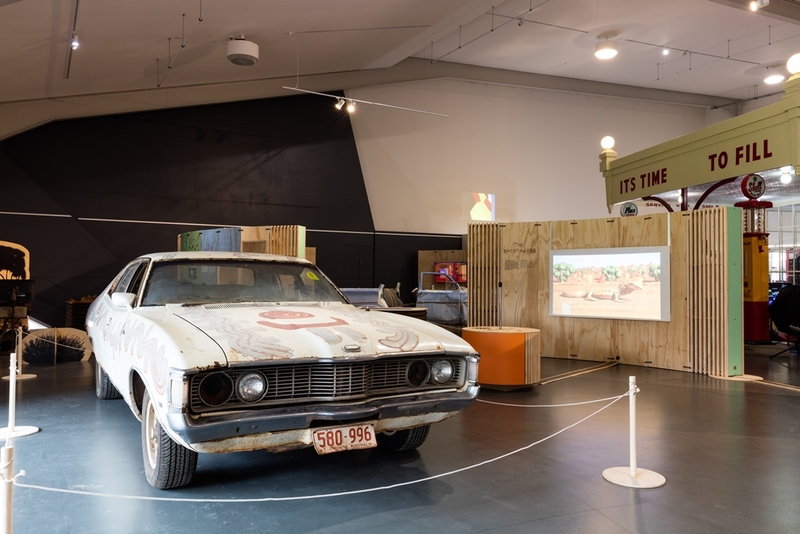 Bush Mechanics: The Exhibition features a range of items from the series, including two original cars, clay figurines, specially commissioned artwork and interactive displays, it also provides broader insights into Aboriginal life and culture. 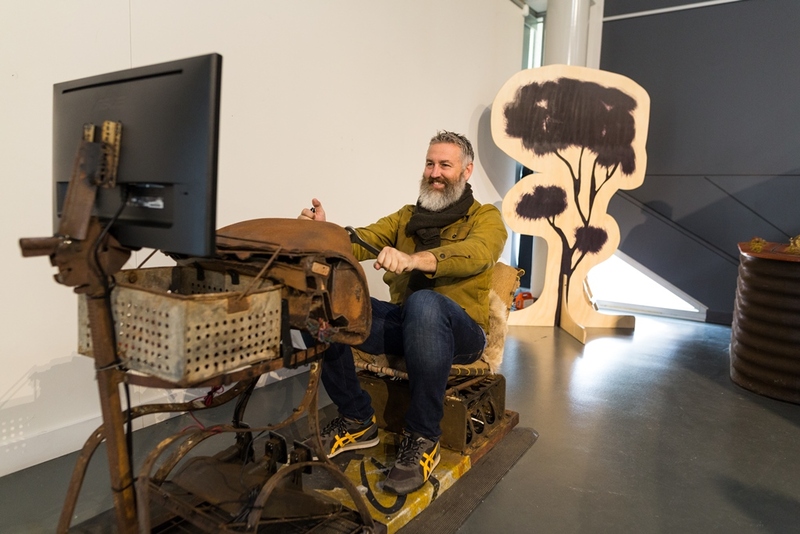 Visitors to the exhibition will be able to see original footage from the series and try their hand at some of the ingenious and resourceful nyurulypa, or tricks, by assembling the discarded parts that make up the exhibition’s ‘bush driving simulator’ and operating it. 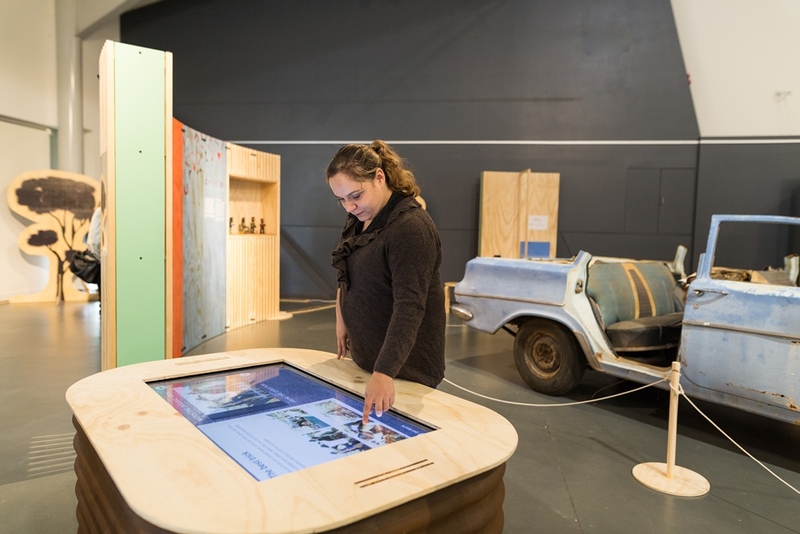 Bush Mechanics: The Exhibition is based on the incredibly popular ABC TV series of the same name. It shows the adoption of the motorcar as an integral part of Aboriginal life in Central Australia. More than just a showcase of bush ingenuity, the show was a documentary-style series with strong elements of comedy, music and magical realism. 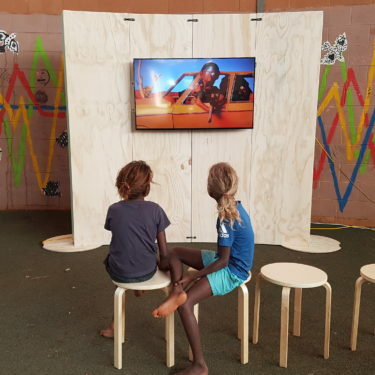 The exhibition will show the ingenuity of the bush mechanics in the context of Warlpiri storytelling, music and art and wider issues (motoring and non-motoring) affecting Aboriginal Australians. At the start of the series, a Warlpiri elder narrates his very first encounter with the motorcar in the Central Desert. What’s this big monster? It must be sleeping ponders young Jack Jakamarra Ross, before running for dear life. When the action returns to the present day, young Warlpiri men are confidently applying makeshift (but very effective) ‘nyurulypa’ – good tricks to keep their cars running. In Australia’s remote centre, where spanners and trolley jacks are few and far between, mulga, spinifex and sand become tools and spare parts. 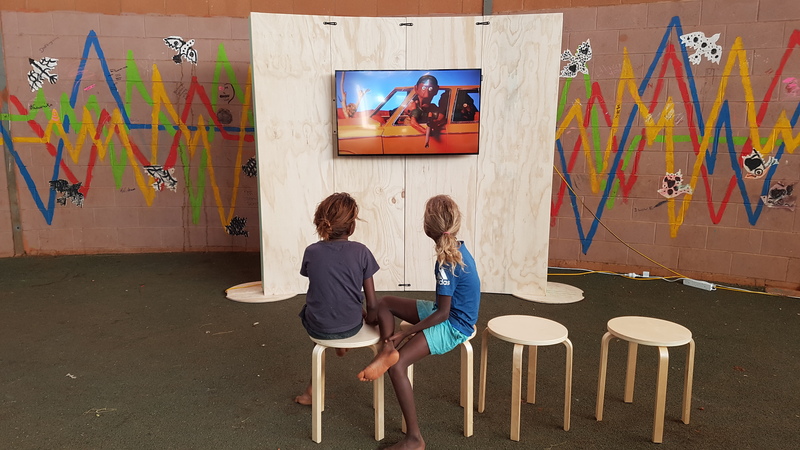 The National Motor Museum has developed the exhibition in close partnership with Pintubi Anmatjere Warlpiri (PAW) Media, the original producers of the series. 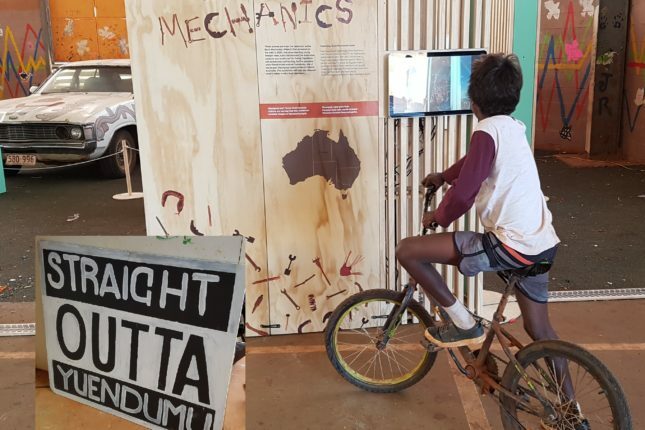 You've probably seen Bush Mechanics : from Warlpiri Media Association on ABC TV or ABC iview, but now you can get closer to the experience at the Bush Mechanics exhibition at the National Motor Museum – Australia in Birdwood. 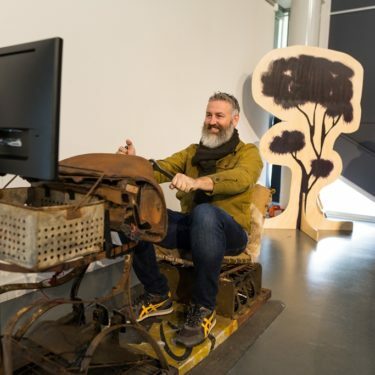 In tonight's episode, we lift the bonnet and kick up some dust around the many life themes this show brings to the surface; survival, ingenuity, outback, Aboriginal culture, trends in museum exhibitions, storytelling, and the lost but recoverable art of tinkering. In the meantime, here's a quick, personal tour with curator, Mick Bolognese.PS And apologies to Mick for misspelling his surname in the video titles. Need to slow down to "bush time" to avoid such mistakes of haste! 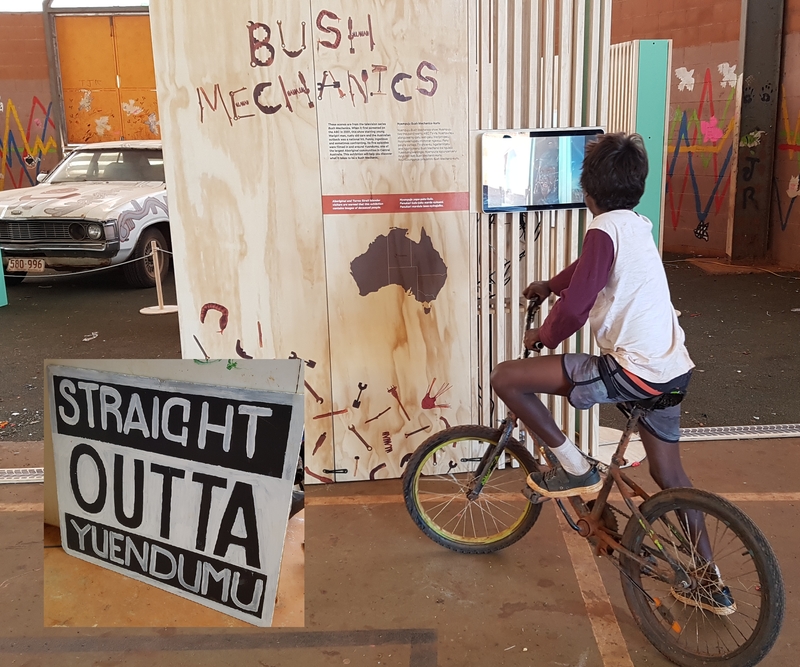 Museums wishing to host the Bush Mechanics Exhibition are encouraged to contact Mick Bolognese at the National Motor Museum.